Section 5 of the Voting Rights Act appears to be in danger of being overturned, according to various news outlets covering oral arguments before the U.S. Supreme Court on Wednesday. “A majority of the Court seems committed to invalidating Section 5 of the Voting Rights Act and requiring Congress to revisit the formula for requiring preclearance of voting changes. The vote seems quite likely to be five to four,” wrote Tom Goldstein, the publisher of SCOTUS blog, the high court’s official blog site, soon after arguments began. The rule requires that a three-judge panel in Washington, D.C., or the U.S. Department of Justice preclear state laws that affect voting in states — like Texas — with a history of racial discrimination. Without approval from DOJ or the courts, the state can't change its election laws. Reporter and analyst Lyle Denniston wrote on the SCOTUS blog that Section 5’s ultimate fate could be left to Justice Anthony Kennedy, as the other eight members were clearly split. Specifically, Denniston said, Kennedy was concerned about the threat to states’ rights, which is a key argument for Texans, like Attorney General Greg Abbott, who say the measure unfairly wields a tougher burden on Texas and the other covered jurisdictions than on other states. One comment, by Justice Antonin Scalia, garnered most of the attention on social media and illustrated just how divided the liberal and conservative members of the court are on the issue. Scalia said the provision was the “perpetuation of racial entitlement,” a statement strongly condemned by proponents of the law. Analysts caution that making predictions on how the court will rule based only on oral arguments is not a wise idea. They cite last year’s move by the high court to uphold the Affordable Health Care Act and a key provision of Arizona’s contentious immigration-enforcement law, SB 1070, as evidence one should not rush to judgment. Nonetheless, supporters of Section 5 are likely to undergo a stressful waiting game until a decision, expected in the summer, is rendered. For a veteran lawmaker like state Rep. Sylvester Turner, it seems few things are more important than Section 5 of the federal Voting Rights Act. During a news conference leading up to Wednesday’s oral arguments before the U.S. Supreme Court, the Houston Democrat said the issue at hand — whether Texas and other states should be governed by that federal law — will affect the progress that helped propel him to public office. The Voting Rights Act was a key piece of civil rights legislation pushed by one Texas president, Democrat Lyndon B. Johnson, and reauthorized by another, George W. Bush. In the case, Shelby County v. Holder, the court will decide if Congress overstepped its authority when it voted in 2006 to reauthorize Section 5 of the landmark civil rights legislation for 25 years. The rule requires that a three-judge panel in Washington, D.C., or the U.S. Department of Justice preclear state laws that affect voting in states — like Texas — with a history of racial discrimination. Without approval from DOJ or the courts, the state can't change its election laws. The section has been used to reject lawmakers’ efforts here to draw congressional and state House and Senate maps, and to put on hold the contentious voter ID law passed in 2011. A federal court ruled the maps drawn in 2011 were discriminatory, and the U.S. Justice Department said the voter ID bill would disproportionately affect otherwise eligible voters who did not have IDs or proper access to one. The 2012 elections were conducted using maps drawn by federal judges instead of those drawn by the Legislature. Aside from arguing Congress overstepped its authority, plaintiffs in the Alabama case said that Section 5 “is seriously flawed and undermines the principle of equal sovereignty.” Texas Attorney General Greg Abbott filed an amicus brief with the court in August supporting Shelby County’s claim. Democrats say Abbott has an abysmal track record against the federal government and offer that as proof that Republican lawmakers haven't played by the rules. “When I hear people like General Abbott say that Section 5 has outlived its purpose, that we no longer need Section 5, I think what he’s telling you is that he’s tired of losing under Section 5," state Rep. Trey Martinez Fischer, D-San Antonio, said Monday. Martinez Fischer is the chairman of the Mexican American Legislative Caucus, which, along with the Texas chapter of the NAACP and the Mexican American Legal Defense and Educational Fund (MALDEF), filed an amicus brief in support of keeping the provision in law. The issue isn’t necessarily a partisan one, Martinez Fischer said. Texas was added to the list of covered jurisdictions after lawmakers tried to pass an English-only ballot law in the 1970s, and the fight has continued in the ensuing decades, including when Democrats ruled at the state level. The latest slew of federal rejections, he said, reinforces that minorities in Texas need continued protection under the law, citing language from the court’s rejection last year of state-drawn maps as proof that lawmakers went beyond the limits. The circumstances were the same with voter ID, he said. “The evidence was pretty overwhelming as well," he said. "[The court] found very appalling evidence that suggested that Texas knew at the time they sought the voter ID legislation preclearance there were 795,000 Texans registered to vote in the state of Texas that lacked a driver's license, a concealed hand-gun license or a state-issued ID." Abbott’s office said the criticism was driven by fear. Bean also took issue with Martinez Fischer’s comment on Abbott’s losing record against the federal government. The attorney general’s office did not reveal how it would proceed after the high court renders its decision, which some expect in June. But Luis Figueroa, an attorney with MADLEF, said there are different ways the state could move forward. 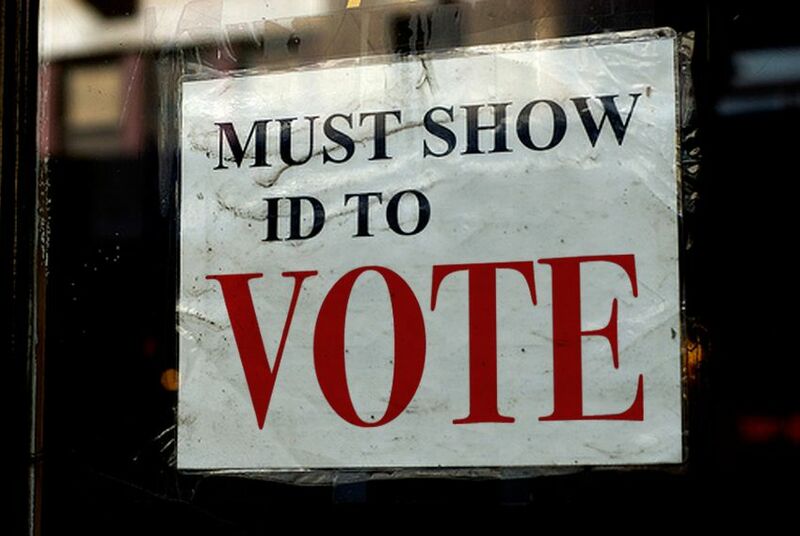 “With respect to voter ID, if Section 5 is upheld, Texas has appealed to the Supreme Court on that as well,” he said. “They could review that on its own merit.” On redistricting, he said, the Supreme Court will have to decide whether it will hear the appeal the state filed after a district court in Washington, D.C., rejected the initial maps set forth by the Legislature. Gov. Rick Perry reportedly told Republican Party officials in Houston recently that he is considering calling a special legislative session on redistricting later this year. And a three-judge federal panel that heard arguments on the state's redistricting plans has given the state and other parties until mid-March to file advisories on what to do next. That San Antonio panel of judges is waiting for the higher courts to decide an appeal of its ruling in the Texas case.